Facebook tops Google for weekly traffic in the US? Facebook alone adds 200 million new users a year? If Facebook were a country, it would be the 3rd largest in the world (behind India & China)? 96% of millennials are on social media? The fastest growing social media segment is 55 – 65 year old females? 78% of consumers trust peer recommendations on social media? Tampa Web Group brings years of social media experience and success to the table. Having a comprehensive social media strategy promotes communication between entities- be it person to person, or business to person. 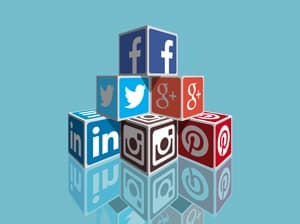 Through social media you have a unique opportunity to interact with your target audience which gives you the ability to better understand their wants and needs. We specialize in helping small local businesses set sail with a range of affordable online marketing solutions!